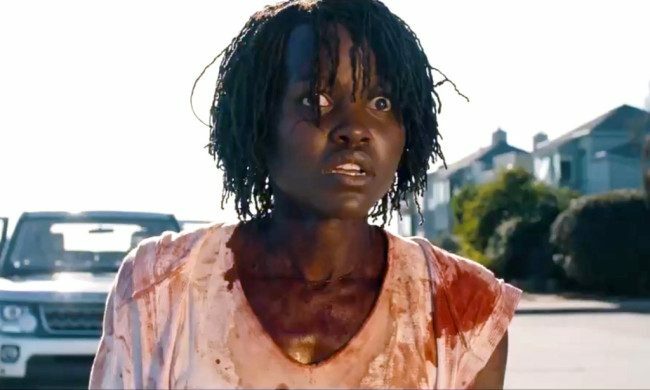 Jordan Peele’s new blockbuster film, ‘Us,’ is shattering box office records as it has grossed more than $70 million in its U.S. opening. But that is not the end of the accolades heaped on this film as Peele is proving to be a great story telling especially when it comes to horror. Peele is the writer, producer and director of the movie “Us.” The 40-year-old writer/director first announced the Us project in Feb. of 2018. In July of 2018, Peele began filming Us, and by March 8, 2019 ‘Us’ had its world premiere at South by Southwest. Film critics have been impressed with Peele’s second horror film. Upon summing up an aggregate of reviews, ‘Us’ presently holds an 94% approval rating, according Rotten Tomatoes. Prior to the film’s U.S. release, an earlier Esquire review praised Peele’s work as well as featured the praises from critics and movie goers alike. According to Esquire, “the movie has found almost unanimous praise both from critics and on social media, and has been heralded fro being both artfully directed and scary as hell. Peele, however, takes his audience in to the world of doubles and doppelgangers and as a result pop culture is eating it up. ‘Us’ also has a double meaning as theater goers have observed. It is connected to a horrific future of the U.S. (United States). Such an ominous threat to the nation is likely to increase the fear and trembling atmosphere in theaters throughout the USA. Nerdist goes on to tell its readers that Peele is speaking to fears living within each and every human being. Specifically, “fear of those who do not walk like us, talk like us, vote like us, think like us—those who challenge our conceptions of acceptability and propriety and reveal an inner ugliness that we so often try to deny.” This is the deeper tapestry that weaves itself in and out of the story. What makes the Peele’s newest project so interesting is that it seems to win on all levels. In other words, actors love it as well as investors, particularly because at a cost of $20M the film will become extremely profitable. Hence, 70M is a great start.